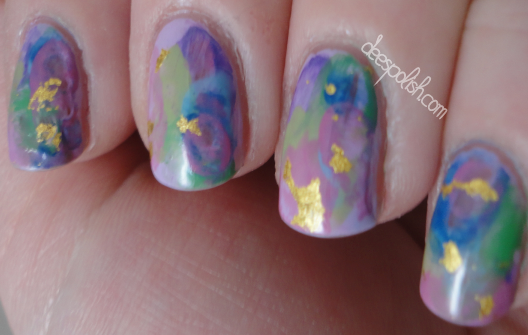 I was extremely jazzed when I stumbled across THESE GEM NAILS.. like seriously.. look at them! 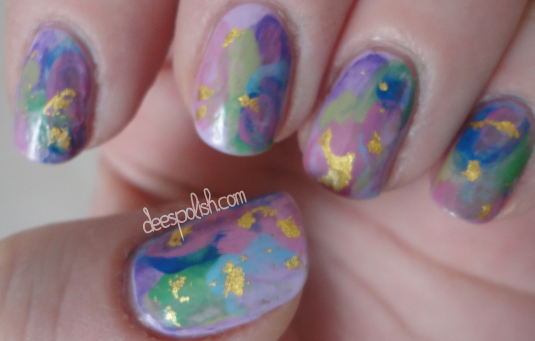 I was inspired to do something similar.. and an opportunity to use gold flakes? Yes, please. I could seriously sit here, mouth-breathing, for hours just looking at these nails. I absolutely adored them! I seriously want to re-do these right meow. Note to self: do these again.